Front garden design for Georgian town house, using a stylish colour pallet woven with grass and topiary. 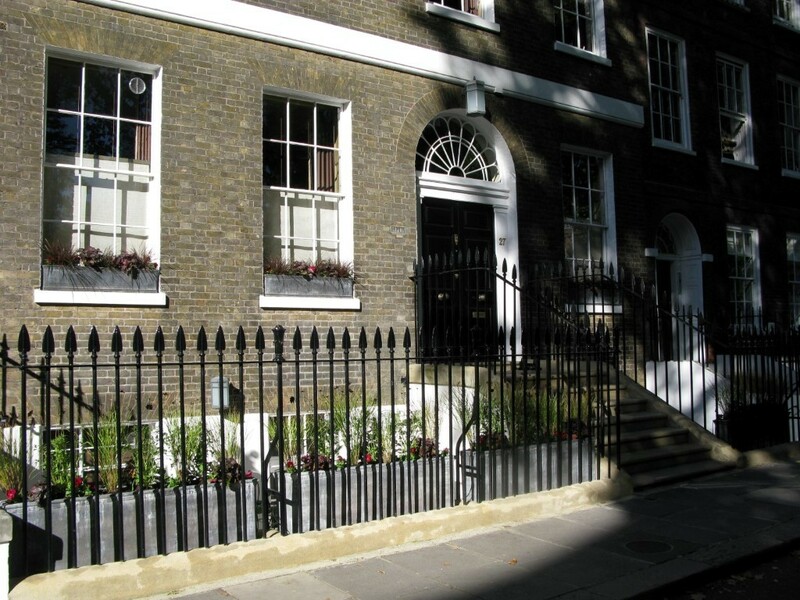 This north-facing Georgian house in a formal area of central London was shaded by large established trees in the communal garden of the Square. 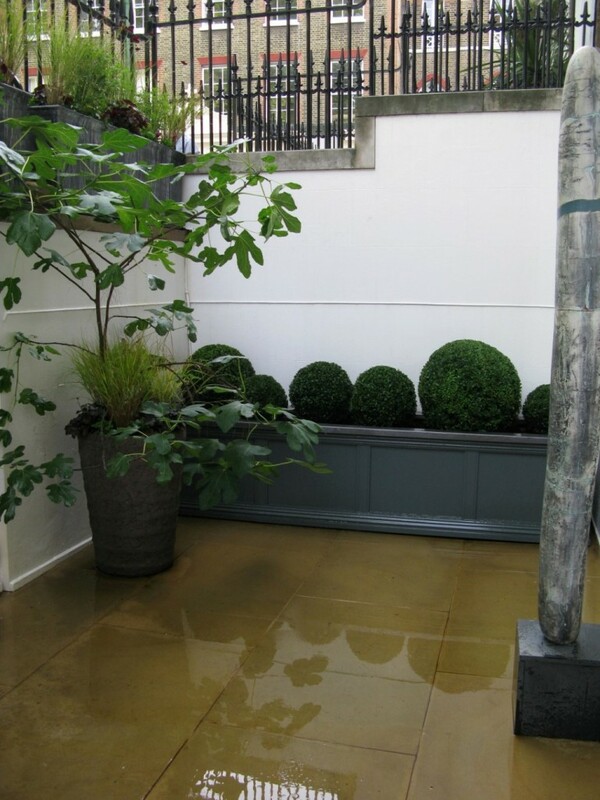 Our client wanted to break away from the predictable front garden designs in the area with their structured planting and predictable colour palettes. 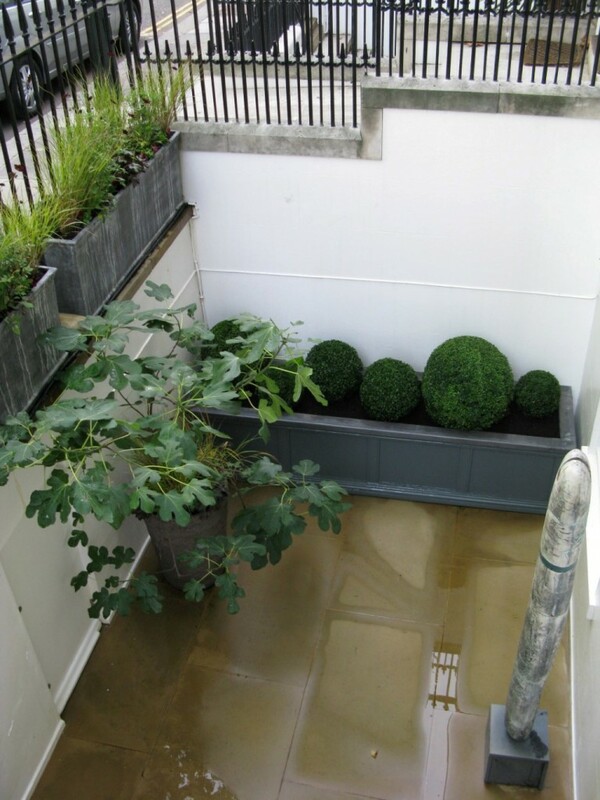 Working with an existing fig tree, lead planters and sculpture we chose plants that would last through the winter and create welcome interest come the spring. To meet the brief, and to generate a dramatic departure from other gardens in the area, we created a meadow-like planting scheme. 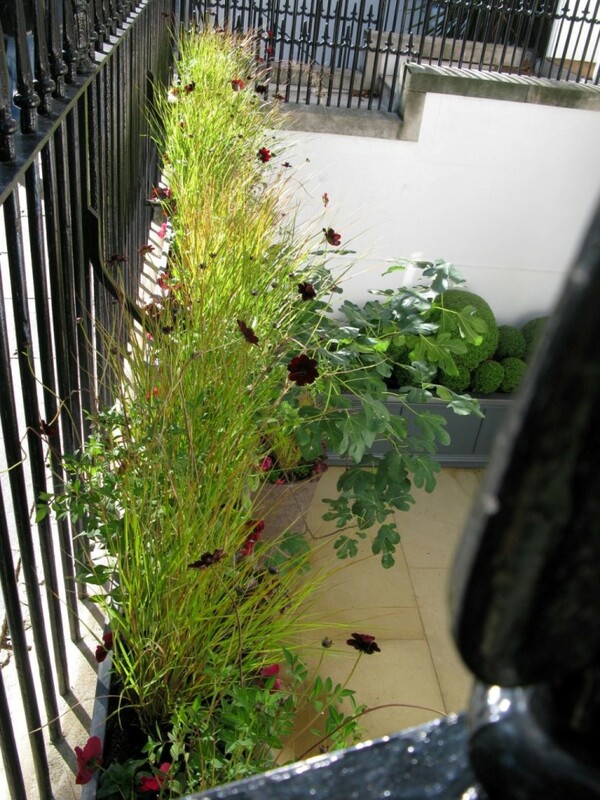 We wove together evergreen Stipa grass, purple Heuchera and chocolate Cosmos. 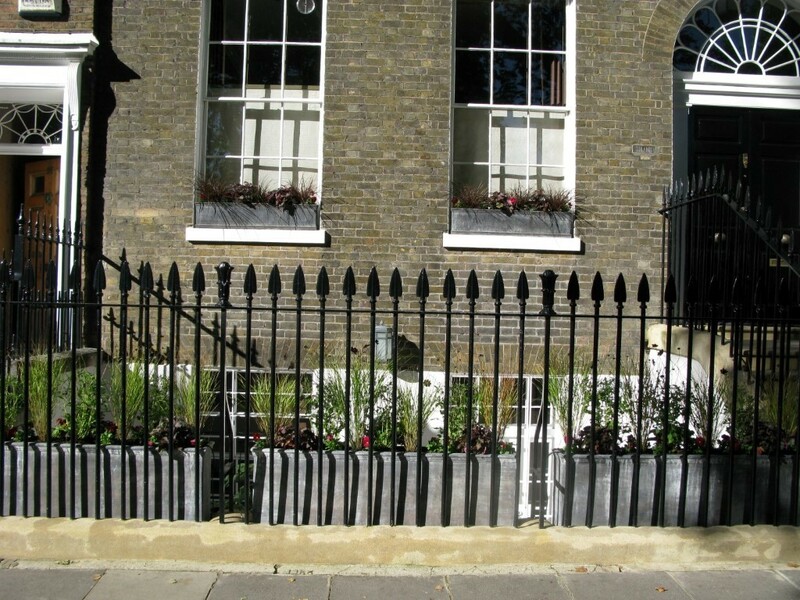 The grasses helped to soften the harsh railings with texture and movement. 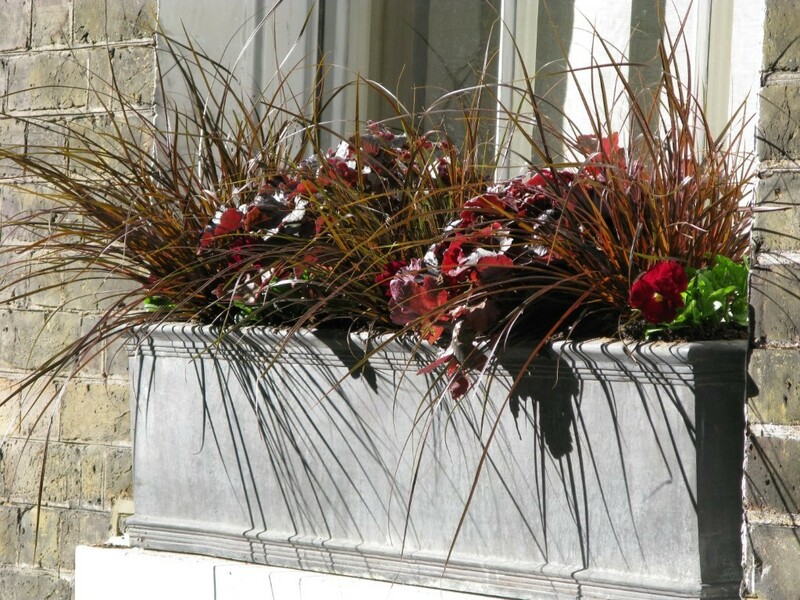 These were inter-planted with rich dark red perennials and black Tulip ‘Queen of the Night’. 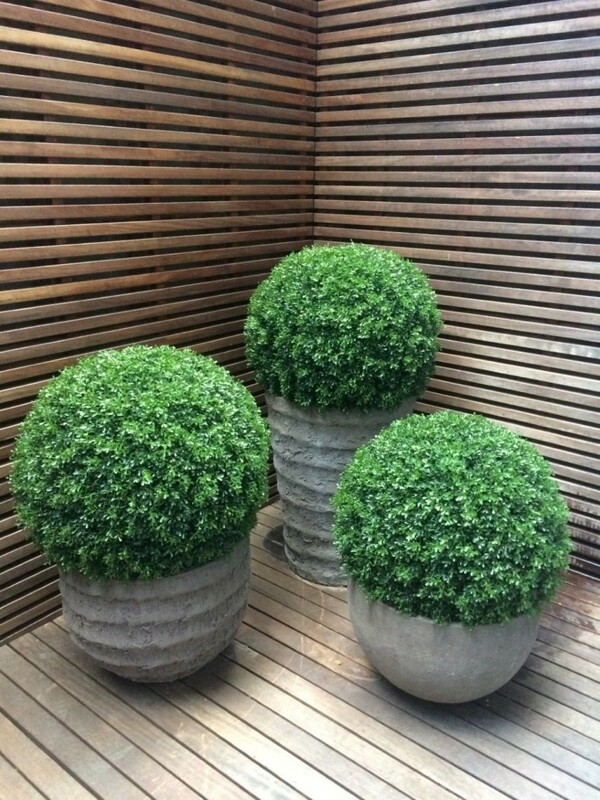 Polished black stone was used to top dress the planters, giving an elegant finish with the welcome benefit of weed prevention. 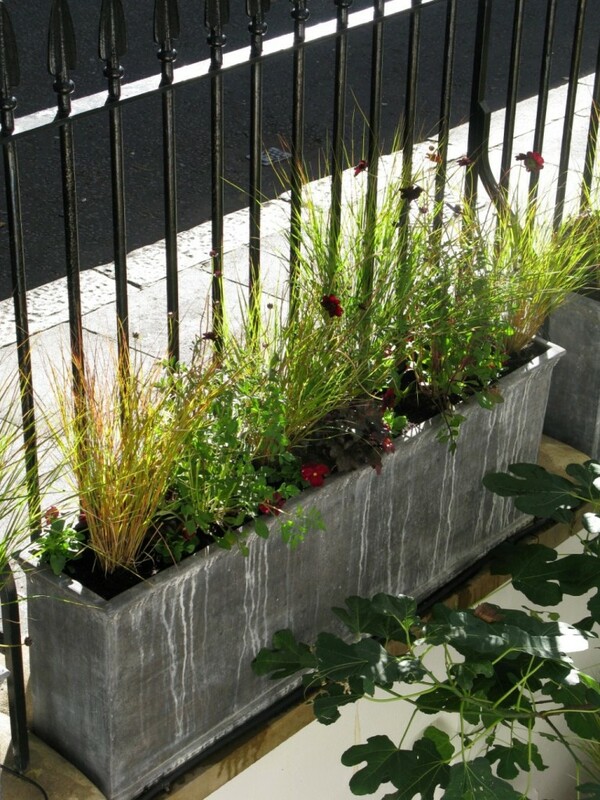 The long planter on the lower ground floor was filled with a mix of different sized Box balls to give a cloud effect – creating a contrast to the informal meadow planting above. 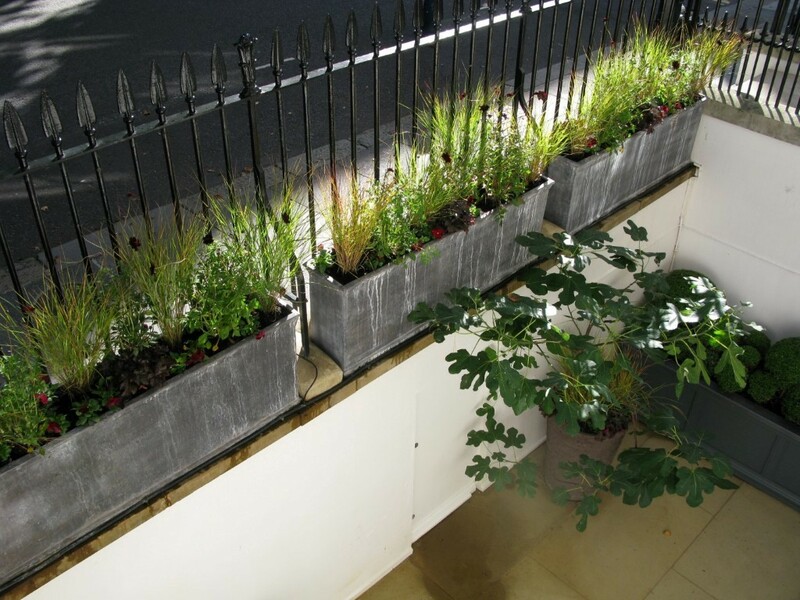 The images here show the scheme just after installation; however when the grasses and other plants grew and the Tulips flowered, it was even more spectacular.